El sol estaba en nuestro ojos y no lo miramos bien, pero estás más cercas de el en este momento la mayoría tendrá la buena fortuna de ser. The sun was in our eyes and we did not get a good look, but you are closer to him right now than most will ever have the good fortune to be. Who is El Sully? Grab a can of this Mexican-style lager, head to the nearest beach, even if it’s imagined, and perhaps he’ll come to you. 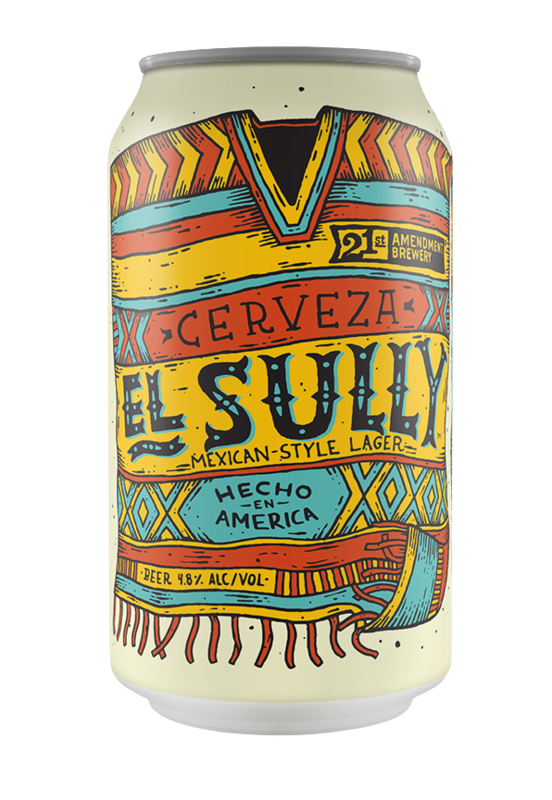 El Sully (the beer) is available year-round in six pack cans and on draft. El Sully (the legend) is a little harder to find. We currently distribute in 28 States plus Washington D.C. To find your nearest retailer, click on the button below. We suggest you only use this tool as a guide and recommend calling the specific account to confirm availability. © 2019 21st Amendment Brewery. All Rights Reserved.